The exploitative practice of labor contracting is a continuing legacy of the country’s feudal and colonial history. It dates back from the cabo system – a labor arrangement that proliferated during Spanish colonialism. Cabos acted as labor negotiators and suppliers to companies and project or contract-based (pakyao) jobs. The system was commonly practiced in small-time construction companies, maritime companies that hired stevedores, and in haciendas that hired seasonal plantation workers. In the 1850s, sacadas (poor peasants from other provinces) were contracted to work in sugar plantations in Negros through this system. Employed by hacienderos, cabos encouraged sacadas to migrate to the sugarland of Negros and work in plantations on a seasonal basis. Later, the subcontracting practice proliferated in modern export crop plantations especially in banana and pineapple plantations operating in Mindanao. During US colonialism, the US colonial government implemented a system in labor relations, which was anchored on fake trade unionism and discouraged the cabo system. At that time, only unionized workers were eligible for employment. 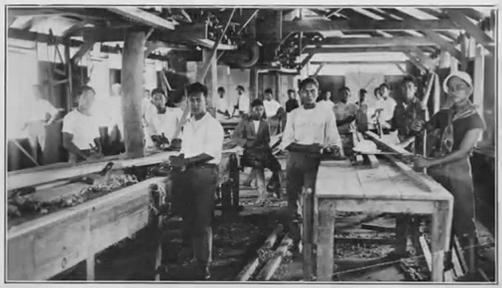 With the introduction of trade unionism and the prohibition of labor-only contracting by the US colonial government, the cabos were compelled to utilize unionism as a facade. Cabos established their own unions even without employers to bargain with and penetrated existing unions to retain their power. The cabos became the first batch of notorious labor leaders who, instead of upholding workers’ rights to better wages and employment conditions, functioned as labor suppliers. Although the country was granted nominal independence in 1946, the American colonizers ensured that treatises were in place to maintain the neocolonial relations between the Philippines and the US. This enabled the US to exercise the same political and economic influence and control in the country. Former President Ferdinand Marcos used martial rule’s dictatorial powers to orient the Philippine economy to serve the demands of foreign corporations for cheap labor, cheap resources, and captive markets. To improve the investment climate and give foreign capital profitable opportunities in the country, the Marcos dictatorship enacted laws aimed at depressing workers’ wages through labor flexibilization. In 1974Articles 5 and 106 to 109 of the Book on Conditions of Employment of the Labor Code gave the DOLE Secretary the power to issue regulations and guidelines as to how companies can carry out labor contracting. Two years after the issuance of PD 442, contractualization was institutionalized in the construction industry when former DOLE Secretary Blas Ople issued Policy Instructions No. 20-76 which provided the definition and rights of project and non-project construction employees allegedly to stabilize employment relations in the industry. Project employment is a form of contractualization; the contract is based on a specific task or project with a clear duration. Although project employees are directly hired by employers, there is an absence of an employee-employer relationship between the project employee and the principal employer throughout the duration of the contractual employment. 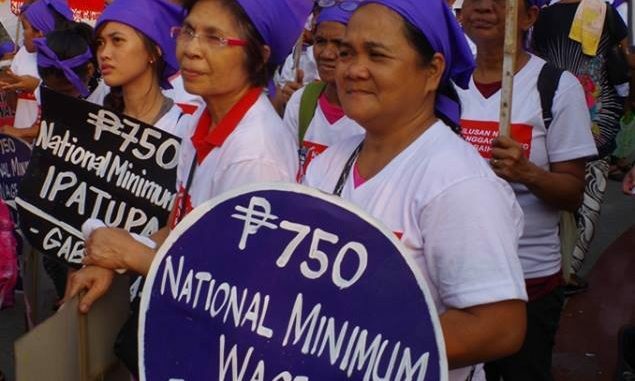 Thus, the anti-labor characteristics of project employment also denies workers not only of their right to security of tenure but also of their right to unionize and negotiate for better wages and benefits with principal employers. In 1993, former Labor Secretary Nieves Confesor issued DO 19, which provided the guidelines governing the employment of workers in the construction industry. DO 19 affirmed the legality of contracting and subcontracting in the construction industry by providing the conditions of employment and the liabilities of employers and contracted workers. After the issuance of this order, contractual work arrangements have become rampant across all economic sectors in the country. The debilitating impact of the proliferation of contractualization was immediately felt and consequently stirred massive protests throughout the country. The strong clamor to repeal contractualization compelled the Arroyo administration to temporarily revoke DO 10 through the issuance of DO 3 by former Labor Secretary Patricia Sto. Tomas in 2001. After one year, however, the anti-labor and market-biased order was essentially restored through the issuance of DO 18-02 by the same Labor Secretary. In 2011 during the administration of Benigno Aquino III, then Labor Secretary Rosalinda Baldoz added more requirements to existing guidelines on contracutalization through the issuance of DO 18-A. Included is the imposition of a minimum capitalization requirement of at least Php3,000,000 pesos. The latest order, DO 174, amending the guidelines on contractualization was signed on March 16, 2017 by Labor Secretary Silvestre Bello III. 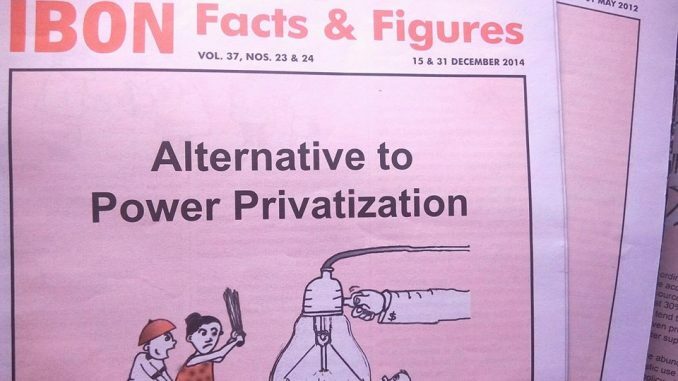 The continued implementation of contractualization in businesses is at the heart of the Philippine government’s adherence to neoliberalism, the package of principles that promote market fundamentalism expressed in policies of liberalization, privatization, deregulation, fiscal prudence, among others. To illustrate, it is in compliance with the policy recommendation of The Arangkada Philippines Project (TAPP), a project launched in 2010 by the Joint Foreign Chamber of Commerce (JFC). It is funded by the United States Agency for International Development USAID) to, among others, continue the policy of labor flexibilization. At present, contractualization continues to proliferate in various forms of market-oriented and flexible hiring schemes.- From Contractualization Prevails, IBON Facts & Figures, July 2017. Joint Foreign Chamber Of Commerce. “Arangkada Philippines 2010: A Business Perspective”. Arangkada Philippines. 2010. Web. 14 Nov 2016.